Australian made meter from quality materials. We make Hydraulic Penetrometers for soil compaction measuring. 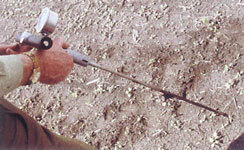 Do you know how hard or tight the hard pan is in your soil, at depths from 0 to 18 inches? 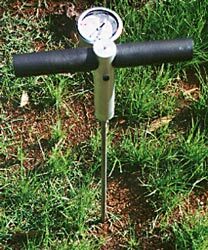 The only sure way to measure soil compaction is with a Soil Penetrometer from the Meter Man, David von Pein.